Fri., Sept. 14, 2018, 4 p.m.
LOS ANGELES – There’s more new television to watch than is humanly possible. But everyone has to make a time-allocation decision in the end, and that’s what we’re here to help with. Do we sense a real-world Twitter storm gathering on the horizon? The show debuts Sept. 27. The Amazon Prime Video drama series makes the cut even without virtue of an early screening, thanks both to its pedigree and ambitions. It was created, written, directed and produced by Matthew Weiner of “Mad Men” glory and marks his return to series TV after his Emmy-showered drama ended in 2015. An eight-episode anthology series, “The Romanoffs” promises a kaleidoscope of tales about people who fancy themselves descendants of the royal Russian family that fell victim to revolution. The cast changes from episode to episode. “The Romanoffs” was shot on location in Europe, the Americas and Asia. Fair to say the bar is set for high – if not excessive – expectations. The first two episodes debut Oct. 12. HBO’s first non-English language series is based on the internationally best-selling novel of the same name, the first of four books by Elena Ferrante. That’s a pen name for the author who’s remained anonymous, creating as much a sensation for that choice as for the acclaimed saga of two women starting in their 1950s childhood in Naples, Italy. There’s fidelity to the novel overall in the episode provided. This season’s eight episodes are coming in November (date to be announced). Miami’s disadvantaged Liberty City neighborhood is home to a youth football program, founded by 2 Live Crew frontman and activist Luther “Uncle Luke” Campbell, that’s helped launch Antonio Brown, Teddy Bridgewater and others into NFL careers. The six-episode series created and directed by Evan Rosenfeld had a powerful ally: LeBron James was among its executive producers. It debuts Sunday. This comedy fits snugly into ABC’s ethnic-family folio that includes “black-ish,” “The Goldbergs” and “Fresh Off the Boat.” But the newcomer about a working-class, Irish-Catholic family in the 1970s isn’t riding anyone’s coattails: It’s sharply written, charming and boasts laugh-out-loud scenes. Mary McCormack and Michael Cudlitz are actors best known for drama but shine as mom and dad, with McCormack getting the best punchlines in the debut episode and delivering them with aplomb. A sample: “We do not have the wherewithal in this family for any of you kids to be special.” Begins Oct. 16. For fans of the gripping, hugely entertaining “The Night Manager” that aired on AMC in 2016, there’s reason for celebration: executive producers of the Emmy Award-winning series based on a John le Carre novel are behind this le Carre adaptation. 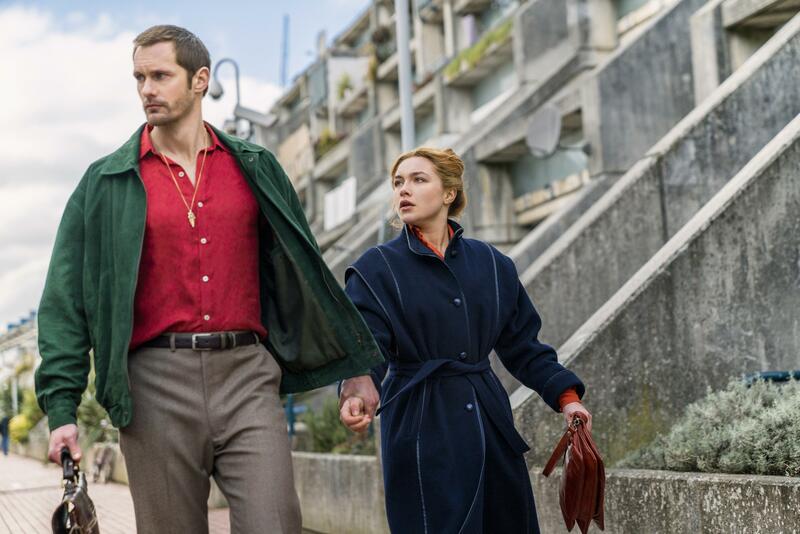 The six-part miniseries stars Alexander Skarsgard (“Big Little Lies,” “True Blood”) and English actress Florence Pugh (“Lady Macbeth”) in a 1970s tale of espionage and intrigue. He’s a mystery man, she’s an actress with secrets of her own, and hovering over all is spy mastermind Kurtz (Michael Shannon, “The Shape of Water”). The drama airs Nov. 19-21. Published: Sept. 14, 2018, 4 p.m.